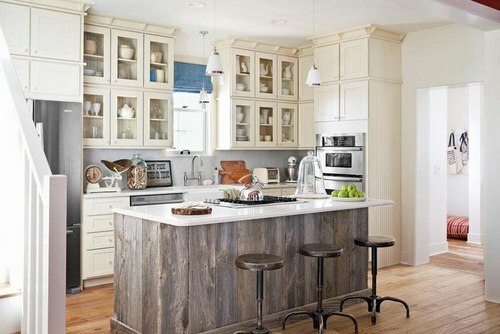 What is the primary function of your Kitchen Island? Do you want additional area for food prep? Do you need it to double as an eating space? Do you want it for extra storage space? 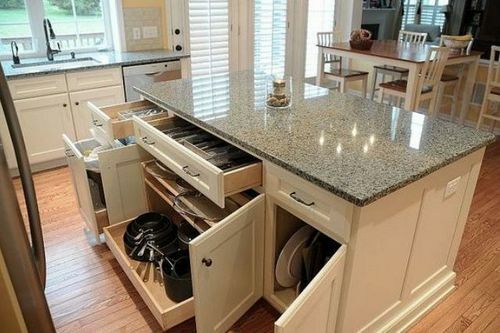 Deciding how you need your island to function will help narrow down the choices you need to make. The first thing to decide is the size. The island must be large enough to accommodate the cooking appliances in a central location if that the reason for your island. Storage opportunities increase when you add a kitchen Island. You can have all closed storage, a mix of display and storage, or you can decide to add a few appliances or plumbing needs to your island. Drawers are a popular and functional choice for a kitchen island. Make sure you plan on electrical supply and plumbing supply if you plan on a dishwasher, or a sink /faucet in your kitchen island. The best thing that might have happened for kitchens is the introduction of a kitchen island seating! Why not? This enabled the cook to actually interact with their guests as they do their cooking. It also enabled small homes, apartments or pads to have seating where they can’t fit a full dining room table. 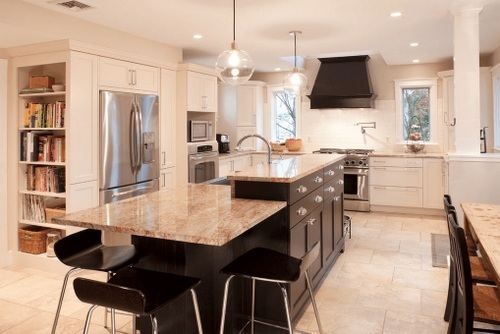 Depending on the amount of space you have and your entertaining style will dictate your seating for your island. If your kitchen island is large, then the seating for it can utilize full size chairs. Smaller kitchen islands may be only able to accommodate two seats. The island can serve multiple functions. Many families use it as a place for children to do homework as well as food preparation. It is also used as a place to serve food to large or small groups. Once you know what your plan is you can start setting out the special features you need to include in your island. Whatever the design of the kitchen in your home remodel, the kitchen island is a functional hub and gathering place to share with family and friends.